First of all, I would very much like to thank you, as a mother, for gifting such a creative and positive celebration of our saints through "Happy Saints". 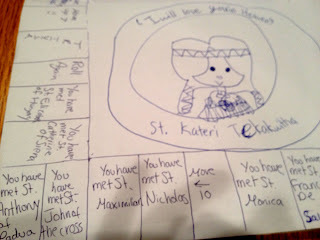 We came across your artwork when my youngest was researching a school project on Saint (then Blessed) Kateri. 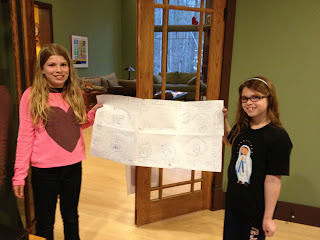 To say your depictions are a hit in our home is a huge understatement. 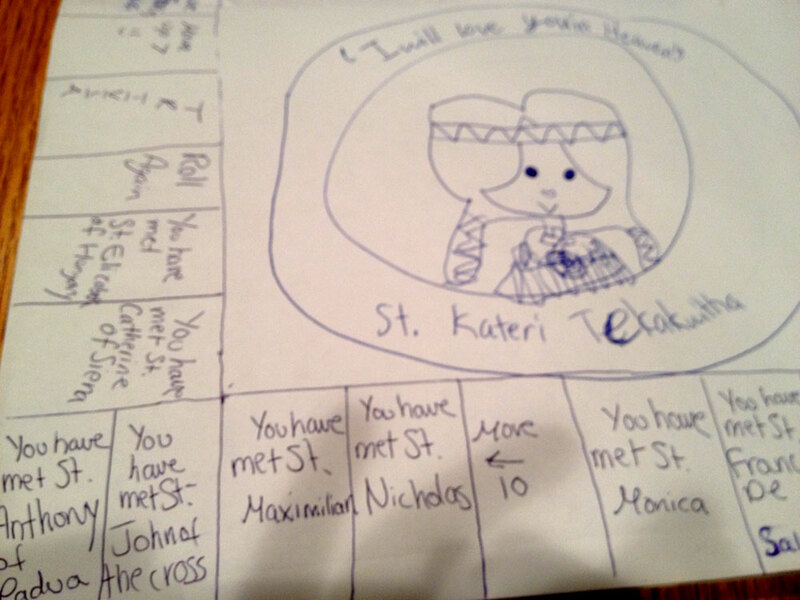 Alex, our 9-year old, continues to draw pictures of saints inspired by your wonderful work. 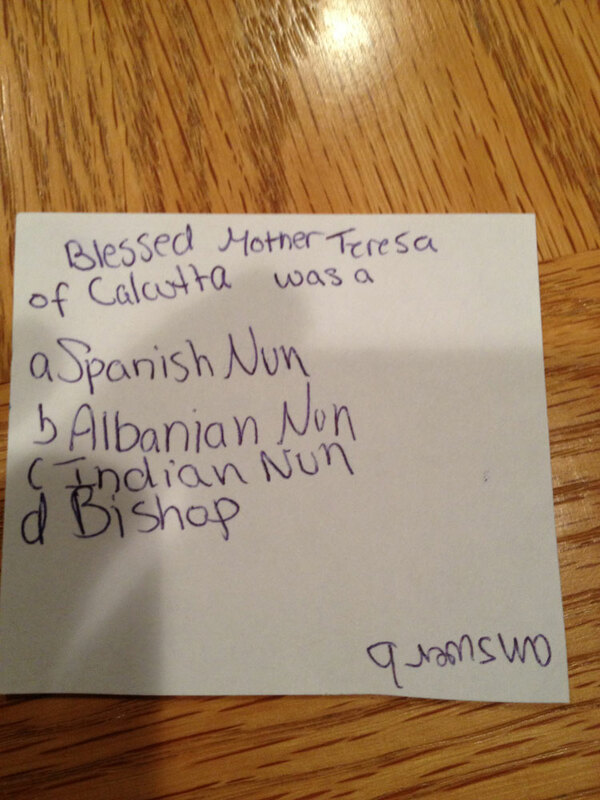 She also knows a great amount about the saints now as well. (And owns a good amount of "Happy Saints" merchandise (mostly t-shirts), too.) We proudly own all three eBooks and check your FB page daily. Also, thanks to you, my oldest daughter, Sophia (almost 11), has decided to learn more about Blessed Mother Teresa of Calcutta. I am writing to you today to share with you something really wonderful! 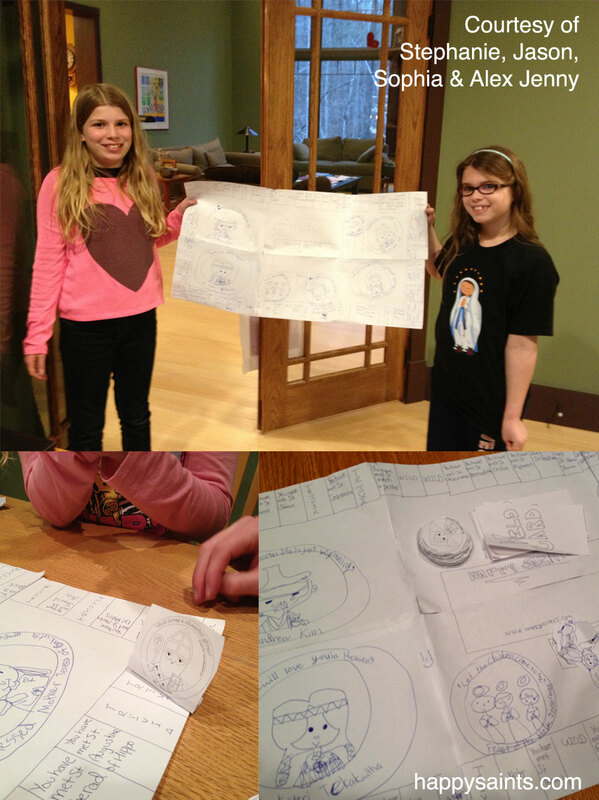 Both Sophia & Alex created a board game based on your work over a recent school holiday. Just wonderful to see. When I suggested we send you pictures, they were so very excited about the idea! My husband and I played the game with the girls Saturday night and again yesterday - while there are a few things to work out, it was a lot of fun! Perhaps food for thought for you! 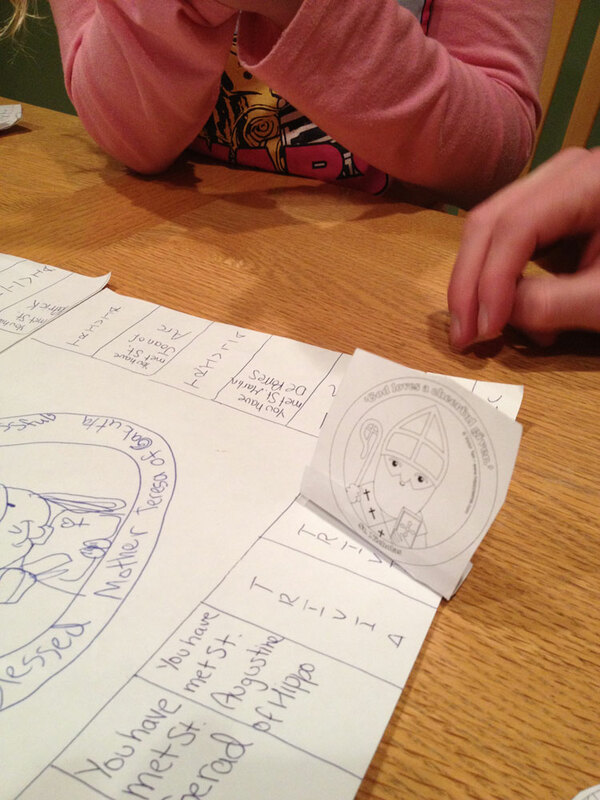 As such, I have included some pictures of the game. Thank you for your wonderful art work and inspiring this family to embrace all there is to appreciate and love regarding our saints. 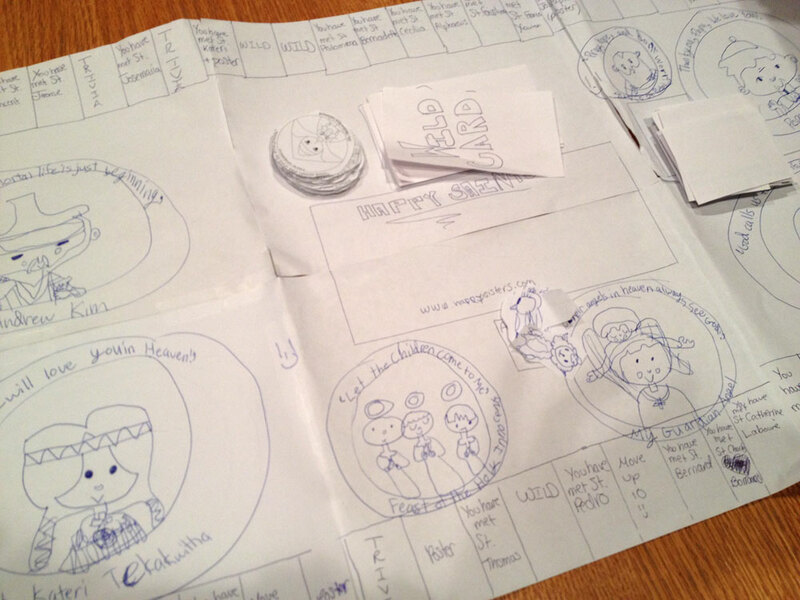 Thank you, Stephanie & family, for your wonderful affirmation and ideas - God bless your family!